The Fujifilm X-E3 delivers excellent image quality in a slim body, making it a perfect option for photographers who like to pack lightâas long as you pair it with the right lens. With a higher resolution sensor, faster processor, much-improved autofocus, 4K video, and a sleek new design, the X-E3 is the true upgrade to the X-E2 that we’ve now been waiting years for. The Fujifilm X-E3 has the looks of a classic rangefinder, but don't let that fool you, it's got the guts of a modern camera. Handling is excellent thanks to ample direct controls, a super-responsive touchscreen, AF-point selection joystick and high-resolution electronic viewfinder. Photographers seeking a stylish camera with direct controls, excellent image quality and a great selection of lenses. Action photographers and those requiring ultra-high-quality 4K video. The Fuji X-E3 takes the X-T20 pipeline and places it in a minimalist rangefinder body. With the a proven 24 MP X-Trans CMOS III APS-C sensor with built-in Phase-Detect AF and X-Processor Pro in a compact form-factor, the X-E3 present a leap over the X-E2 that precedes it. 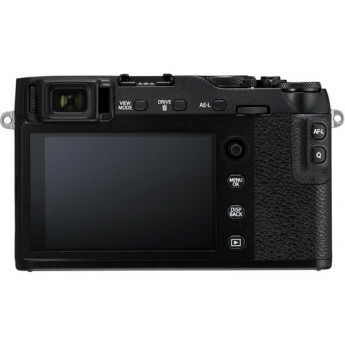 The Fuji X-E3 is a stylish and easy to use APS-C camera. It is a big improvement over its predecessors in many ways, including its excellent, higher-res, 24-megapixel X-Trans CMOS III image sensor and the X-Processor Pro chip for impressive overall performance and 4K video capabilities. The Fujifilm X-E3 is one of the better mirrorless cameras out there, and delivers good performance in a stylish body. It’s a little pricey in India, as the body alone retails for about Rs. 70,000. Once you add a lens, the price creeps up to a little over the Rs. 1 lakh mark. It’d be easy to dismiss the X-E3 as just another also-ran, when you consider how good the rest of the X series is. 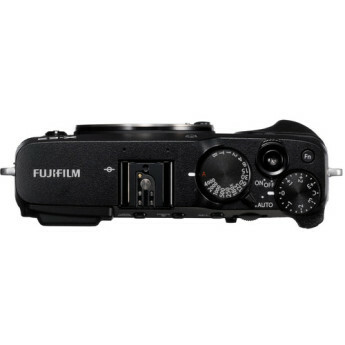 In this respect, Fuji is pretty much a victim of its own success. 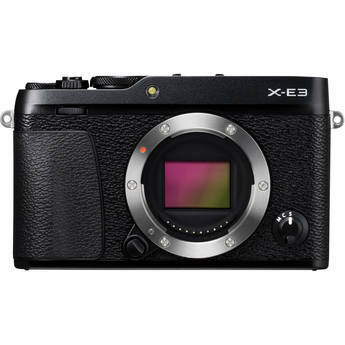 For those who don’t demand all the bells and whistles of Fujifilm’s top-of-the-line models, but want all the charm and charisma of the X-series, the company’s slimmed-down versions of its more advanced cameras are very appealing, like the new Fujifilm X-E3. It's very commendable that you can now obtain essentially the same image quality from all of Fujifilm's current mirrorless cameras, with the exception of the cheapest X-A3 model. My main camera is x-t1 and I purchased x-e3 for my wife. This camera produce some really beautiful images. I don't shoot this camera much only because it's my wife's and I'm used to the ergonomics of x-t1. one thing I really love about this camera is the joystick. Great camera... I especially love the out of camera JPG's on this one. I shoot both JPG & RAW on every camera I've owned but this is the first one where I feel completely comfortable posting the OOC JPG images. The rangefinder looks are nice. I was considering this vs. the XT-2. After using Nikon reflex cameras for almost 25 years, I decided to make a leap into the mirrorless camera system. And since I didn’t like the mirrorless cameras from my beloved brand, I started looking into other brands. I like the product. Its simple to operate but not sacrificing any features found in XT20 professional camera. Kristina went through the sale process without any questions and doubts. The price I found was the same as from another retailer BUT with free goodies! Great camera and lens. Sharp, clear photos. Perfect travel package. This is a spectacular camera. I bought it in black with the pancake 27mm and the Fuji 50mm f2. I bought the 35mm f2 originally and changed it out for the 27mm - the whole point was to have something as small as the X100s that is really portable with great image quality. A great product, has meet every expectation I had for the camera. I bought this for my wife for Christmas. It keeps up with my Xpro 2 but the quality and feel of it is noticeably slightly lower. It’s still a nice camera, especially at that price point. I’d buy another one for myself if I needed another body for something. I encountered a hiccup ordering online when the X-E3 and printer package was not available as advertised. I requested online assistance and my online rep was able to clear up the purchase snafu faster than if I had simply ordered on my own.